Being in the Hangout was an effortless way to connect. It made the MOOC feel like a place where real people with real bodies and real voices could meet and connect. They made me feel welcomed and supported– and that’s a critical part of collaborative inquiry and social learning. 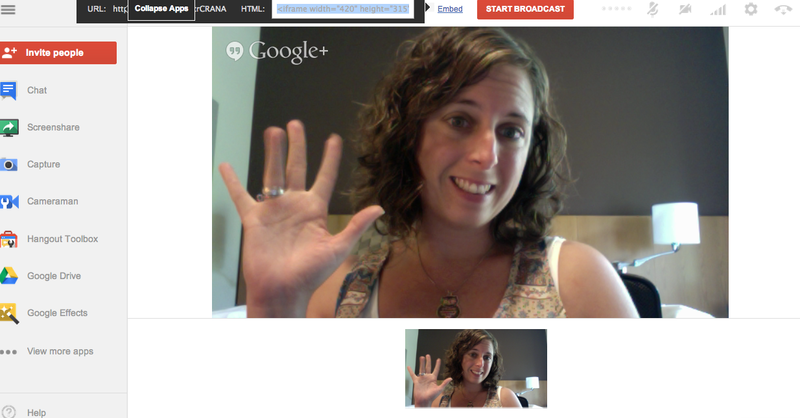 One of the most exciting features of the Making Connected Learning Connected (#clmooc) experience has been the regular Google Hangouts On Air we’ve hosted during each Make Cycle. As synchronous events broadcast live and archived on the NWP Make With Me blog page, these sessions provided an opportunity to share what we were working on during each week’s Make Cycle, invited participants into the larger conversation, and helped us dig deeper into the Connected Learning Principles that underpinned each week’s explosion of making and sharing. A week or two before the Make Cycle began, lead facilitators would coordinate with the #clmooc team to choose an hour that would work across time zones and publicize the Hangout on Air in the weekly newsletter, on the G+ Community, and with the #clmooc hashtag on Twitter. Depending on the theme of the conversation, facilitators would invite particular participants to join the hangout in advance and post the hangout link in the G+ Community for those who wanted to pop in last minute. 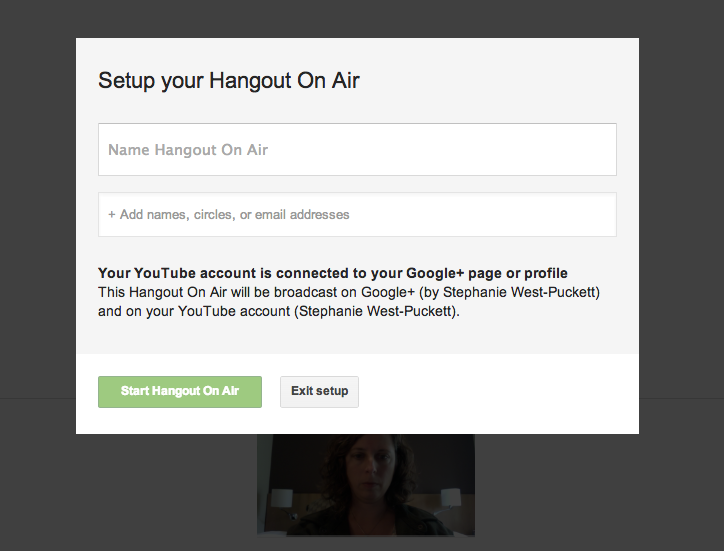 Unlike a Hangout generated from your G+ profile, hangouts you intend to broadcast and archive are generated from the Google Hangout on Air page. After clicking the blue button, you are taken to a screen that asks you you to name your hangout, invite participants, and reminds you that your hangout will be streamed through both your YouTube and your G+ Account. This means that anyone who has you in a G+ circle and anyone who subscribes to your YouTube channel can watch your hangout in real time. To reach a wider audience, however, you can click on the embed link in the center screen, copy the embed code, and paste it in a public website as we did at the NWP Make with Me Blog page. Once your hangout is done processing and you and your guests are ready to go live, you can click on the Start Broadcast Button. For more on the technical aspects of hosting an On Air Hangout and using other social media tools, check out Joe Dillion’s fantastic guide. During the broadcasts, viewers could watch live, converse in the chatroll–also available on the Make With Me page, and join the hangout to video chat with the group on air. 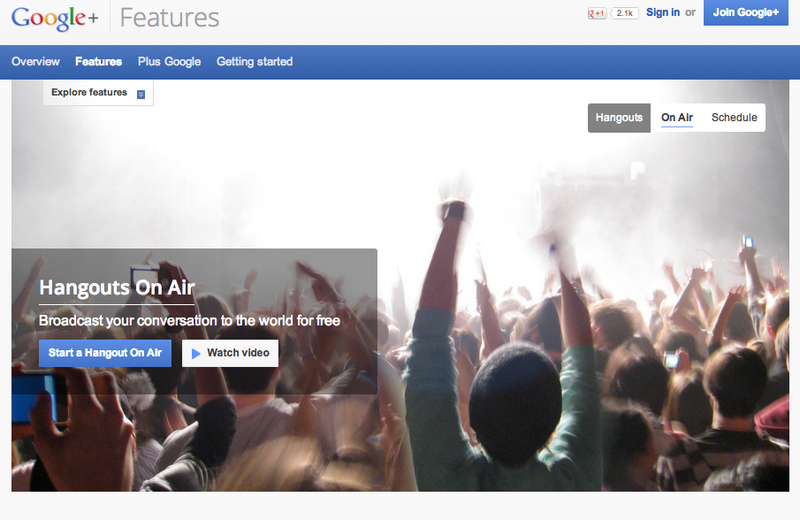 Just like regular hangouts, Hangouts On Air are limited to ten guests. We decided ahead of time that if we had a good number of participants who wanted to join, one of the supporting facilitators would drop out to make space. Often folks would join or drop out midstream, and facilitators pretty quickly learned the etiquette of pausing conversations to introduce new participants and bringing them up to speed if they weren’t already following along. 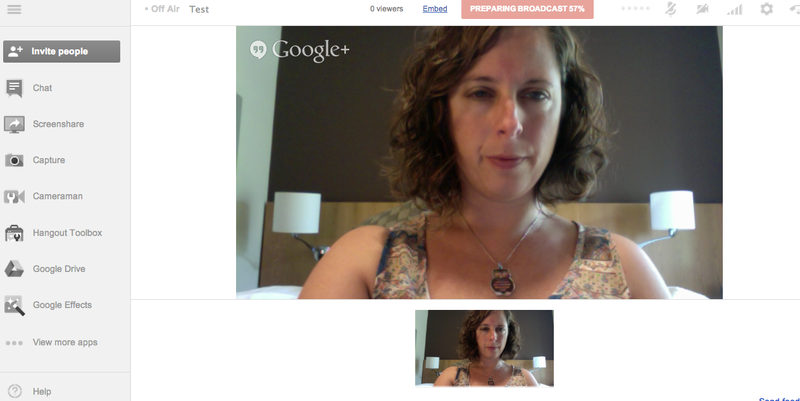 As you can imagine, Hangouts on Air can be frenetic. With the multiple channels and modes of conversation that are happening simultaneously in the chatroll, backchannel conversations in Hangout chat, and the main frontchannel conversation being broadcast, we found it helpful to have facilitators take on different roles. Typically, the lead facilitator would initiate the Hangout on Air and send the embed code to an NWP staff member who would plug that into the Make with Me Blog Page. Lead facilitators would also host or invite other participants to host as we did in Week Five to start handing off responsibility and leadership opportunities to participants. A supporting facilitator would monitor the chatroll and serve as a liaison, bringing questions and ideas from the chat to the Hangout. We also tried to play with the insider/outsider perspective, a fishbowling of sorts, and had people in the chat who were deep into the week’s makes and Connected Learning principles along with an outsider who could prompt us to articulate and surface many of the threads we were picking up on from the Twitter chats and the Google + community. In many ways, the On Air Hangouts, while procedurally formalized, provided space for informally hanging out, messing around, and geeking out, a practice that Mimi Ito describes as essential for building peer networks that drive learning. And while hanging out “on air” was intimidating at first, over the course of the summer, I learned to be more comfortable showing up without a script, sharing ideas that are only half-baked, and using digital tools to facilitate conversation instead of delivering content. This is the ethos of #clmooc, and Hangout on Air is one of the tools that helped us construct it. This post is a part of 1 collection. Data? Who Needs Data? We’ve Got Graphs! Introducing a new collection of resources that exemplify some of the best connected learning practices from Pittsburgh. HELP US SPARK EDUCATIONAL INNOVATION IN ALL COMMUNITIES! The Current at Educator Innovator supports educators in re-imagining learning on the ground through creating a space for the documentation, sharing, and curation of their work. The Current is supported by the Educator Innovator Fund, a micro-investment fund supporting practitioners working with youth and communities to move their practice toward connected learning and community engagement. Contribute to the Educator Innovator Fund. Keep up with news you can use - Sign up to have our latest newsletters sent to you.